Komisi Pemilihan Umum (KPU), the election management body (EMB) in Indonesia, continues to expand its disability inclusion in elections. In April, the KPU launched Election Innovation: To Overcome the Challenges and to Use the Opportunity, a publication that compiles innovative practices employed over the past five years. One of the new tools that KPU has adopted is an EMB Self-Assessment developed by the General Election Network for Disability Access (AGENDA), a creative partnership of disabled people’s organizations (DPOs) and election-focused civil society organizations (CSOs) in Southeast Asia, founded by the International Foundation for Electoral Systems (IFES). AGENDA’s tool includes a checklist that EMBs can use to determine where gaps may exist in conducting elections inclusive of persons with disabilities. AGENDA piloted the EMB Self-Assessment tool with the support of the Australian Department of Foreign Affairs and Trade (DFAT) with the KPU in 2016. The tool was then shared with all 101 KPU offices across Indonesia. AGENDA continues to work with partners around the region to improve the EMB Self-Assessment Tool, which will be contextualized in Cambodia, Malaysia, and Thailand. AGENDA’s work with the KPU to promote inclusive elections also appears in Concurrent Election in 2015 and 2017. 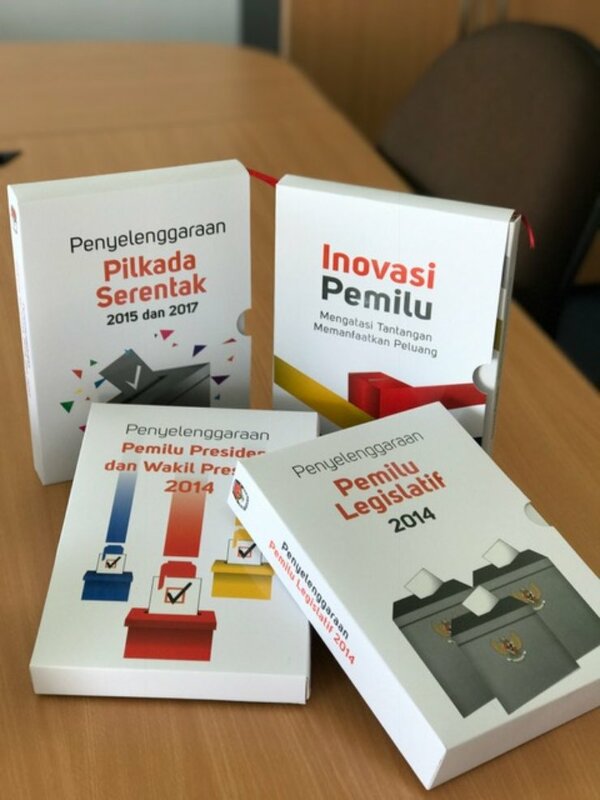 The books are currently available in Bahasa Indonesian and are expected to be translated into English later this year.